Ever hear the quote about an apple not falling far from the tree? I have! Children learn from their environment and from their parents, even those habits we are not fond of! I once came home from the barber shop hating my haircut and berating myself in front of my daughter. This was not a good idea because to her it was a perfect cut but made her start questioning her hair and body image as well. 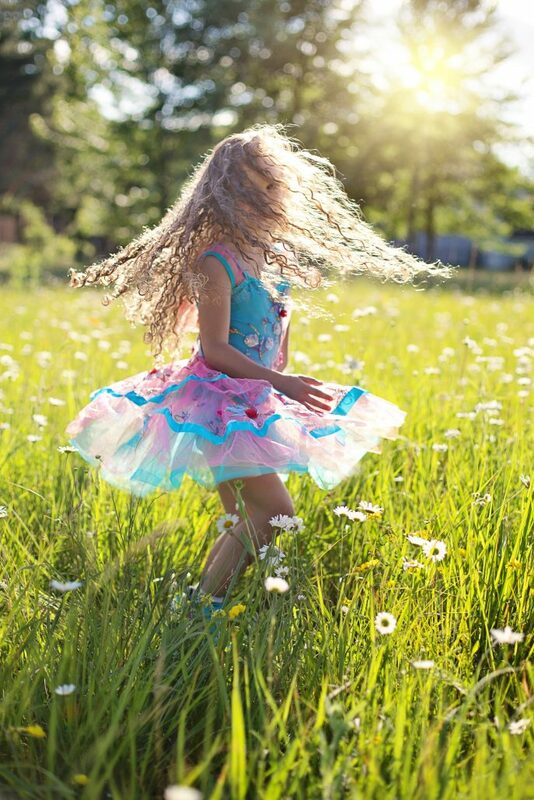 The last thing you want to do as a parent is inadvertently squash your kids self-esteem so consider these ideas to help your kids have a positive body image of themselves. Everything online is edited to be perfect, like on Facebook, but I still tend to compare myself to the images and stories I see anyway. When looking back at my youth, I remember how much my body dictated most of what I did. I am somewhat large on the top so playing sports was something I avoided. Swimming was a safe bet for me because it did not attract any unwanted attention even though sometimes I wished to play other sports. I realized I was passing on some of my negative body image issues to my daughter when my six-year-old asked me when she could wear a bra too. I didn’t realize that she picked up on conversations I was having with friends about how I looked post pregnancy. Never do I want her to feel negative about herself or her body so I decided to start my journey to body acceptance, and bring her along in it. There are things I cannot change about my body and as I realized this, my fashion changed. I became more comfortable with tops that show a little more cleavage instead of boring t-shirts. I am a mother of a six-year-old girl and a four-year-old son, but it no longer bothers me. Whatever you are struggling with, remember that you were born that way and you need to teach your kids they were born that way too. It is all about being comfortable and retraining your mind to see flaws as merely part of what makes you, you. It is in the biology! Self-esteem plummets right after kids for many woman. Allow yourself some time to get over it because your body was just a house to another human being for nine whole months, and that needs to be given credit. You absolutely have to give yourself grace for what you have put your body through. After awhile, especially as your kids grow you will get back on the saddle and feel better about yourself. Since your kids do look up to you and watch your every move, make sure when when speaking about your body, speak with pride of what you have endured and about what you were born with. Your kids will appreciate you and will be more likely to grow up with a positive body image as well.